An Israeli security official confirmed Wednesday that Israel carried out an overnight airstrike in Syria, saying a series of Iranian targets were hit. 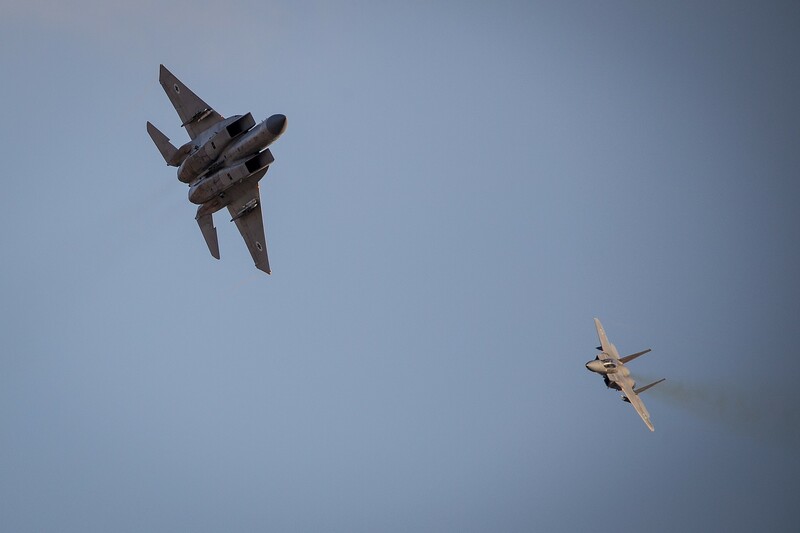 The Israeli official said the air force had attacked several Iranian targets in three main locations late Tuesday and early Wednesday. He said the targets were primarily storage and logistics facilities used by archenemy Iran to ship weapons to Hezbollah, an Iranian-backed Lebanese terror group that fought Israel in a 2006 war. Earlier Wednesday, Russia criticized the airstrikes, saying they had endangered civilian flights. The Israeli official said, however, that Israel alerted Russia about the airstrikes ahead of time and the flights were endangered by Syrian anti-aircraft fire. Russian Defense Ministry spokesman Maj. Gen. Igor Konashenkov said the Syrian air defense forces shot down 14 of the 16 precision-guided bombs dropped by the Israeli jets, while the remaining two hit a Syrian military depot 7 kilometers (about 4 miles) west of Damascus, injuring three Syrian soldiers. But the Israeli official said all targets had been hit, in some cases causing secondary explosions. “We will not abide an Iranian entrenchment in Syria,” Prime Minister Benjamin Netanyahu, who is also the defense minister, said at a graduation ceremony for fresh Israeli Air Force pilots at the Hatzerim air base in the south earlier Wednesday. According to Syrian state media, the strikes began around 10 p.m. Tuesday and were carried out by Israel from Lebanon. It said Syria’s air defenses opened fire on “enemy targets,” shooting them down. The Britain-based Syrian Observatory for Human Rights, a war monitor, said Tuesday’s Israeli strike targeted three positions south of Damascus that are arms depots for Lebanon’s Hezbollah terror group and Iranian forces. Newsweek reported Wednesday morning that the alleged Israeli airstrike hit several senior Hezbollah officials as they boarded a plane bound for Iran, citing a US Defense Department source. The unnamed source told the magazine he had received the information from top Israeli military brass. Israel said Tuesday it deployed it’s own air defenses against a missile fired from Syria as Damascus attempted to repel the alleged airstrikes. The Israel Defense Forces said there was no damage or injuries from the surface-to-air missile fired from Syria at Israel. Earlier Wednesday, Konashenkov said that six Israeli F-16 jets launched a “provocative” raid at the moment when two civilian airliners were preparing to land in Damascus and Beirut, creating a “direct threat” to the aircraft. Fenianos said the Lebanese government will present a complaint to the UN Security Council. The Syrian military didn’t fully engage its air defense assets to avoid accidentally hitting the passenger jets, Konashenkov said. He added that Syrian air traffic controllers redirected the Damascus-bound plane to a Russian air base in Syria’s coastal province of Latakia. Moscow blamed Israel after Syrian anti-aircraft fire aimed at an Israeli jet downed a Russian spy plane in October, sending ties between Jerusalem and the Kremlin into a tailspin. Russia claimed the Israeli jet had used the lumbering sply plane for cover, a charge Israel denied. Israeli bombing campaigns in Syria had seemingly been curbed since the October incident as Moscow and Jerusalem worked to re-establish a deconfliction method. This entry was posted on December 27, 2018 at 10:57 AM and is filed under Uncategorized. You can subscribe via RSS 2.0 feed to this post's comments. You can skip to the end and leave a response. Pinging is currently not allowed.